ABBEVILLE, LA - Robert J. LeBlanc sailed for wartime Europe on the Queen Elizabeth in December 1943, a second lieutenant and intelligence officer in the Army's Office of Strategic Services - now the CIA. After paratrooper training in England, he went ashore in France at Utah Beach 10 days after D-Day, serving mostly behind the lines under assumed names as a French-speaking liaison between the French underground forces and Gen. George S. Patton's Third Army. He carried a 9 mm Marlin submachine gun, the same kind of weapon used by actor Tom Hanks as Capt. John Miller in Steven Spielberg's "Saving Private Ryan." 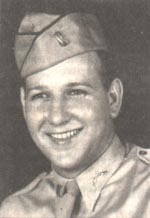 LeBlanc did an OSS stint in Kunning, China, before returning to the United States in 1944. He was married on Dec. 30 of that year and was released from active duty a year later, in December 1945. It was two years to the month after going into combat duty as a 1942 graduate of the LSU ROTC program with academic majors in geology and mathematics. In December 1967, after more than 20 years of a distinguished career in the Louisiana Army National Guard, he was promoted to brigadier general and assumed command of the Guard's Emergency Operations Headquarters, now the state Office of Emergency Preparedness. The following holiday season, 25 years after sailing for World War II on the Queen Elizabeth, he got command of the 256th Infantry Brigade, the Louisiana Brigade, with headquarters in Lafayette and combat units statewide, from New Orleans to Shreveport. So it is only natural for retired Brig. Gen. LeBlanc, 79, to expect milestones in his life at this time of year. He was not disappointed. LeBlanc was inducted into the LSU Cadets of the Ole War Skule Hall of Honor at a ceremony in Baton Rouge as part of the school's recent annual "LSU Salutes" tribute to alumni war veterans. He was the only inductee from Acadiana among the 16 ushered into the elite fraternity that recognizes military and community achievements. As Thanksgiving rolled around this year, LeBlanc reflected on his war exploits, National Guard service and a civilian career as a postmaster and emergency preparedness planner. "I volunteered for the OSS in 1943 and since I spoke French, I was assigned to work with the Maquis, or French resistance, training them, arming them, organizing hit-and-run raids, getting them to guard bridges," he said. LeBlanc said Patton also spoke French. "I was fortunate to be assigned to the Army's greatest fighting general," he said. "General Patton's total understanding of the French people enabled him to utilize the ability of the French underground as no other commander did. "Our crews would parachute behind enemy lines and gather little armies of Maquis around us, collect as much intelligence as we could about Nazi forces in the area and try to disrupt the German army operations," he said. To this day, LeBlanc will not go into a great deal of detail about what exactly he did in France, where and how - it was the OSS, after all - but he was nominated to receive the Croix de Guerre, the highest bravery award the French government gives to another country's soldiers. He was reassigned to China before the award came through, with efforts now under way by the Council for the Development of French in Louisiana to have the French government recognize and bestow the belated honor. COFOFIL executive director David Cheramie said what is known of LeBlanc's war record "palpably demonstrates he is very deserving of some recognition by the French government." "His work was distinguished as one of many French-speaking Louisianians who performed admirably in serving their country and helping to liberate France," he said. LeBlanc said he also liberated a warehouse full of champagne and Napoleonic brandy and a number of geese from a French village for a holiday feast for his OSS unit and other troops tired of eating canned rations. "I still have a few empty bottles around here from that escapade," he said. "We traded cartons of cigarettes to the French for whatever we wanted. It was a very important means of transacting business because the Frenchmen were heavy smokers. That and soap, despite what you hear about Frenchmen not bathing very often." 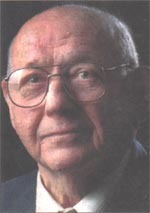 After the war, LeBlanc went into private business for a few years, then joined the post office in 1949, advancing to Abbeville postmaster in 1960 and Lafayette postmaster in 1972, where as a section chief he supervised the operations of 93 post offices in southwestern Louisiana. LeBlanc said he oversaw the completion of the Moss Street main office and supervised the long-range planning that led to the construction of post offices in the Oil Center, at Postal Square and on Ambassador Caffery. Along the way, he also served in various leadership posts in the National Guard before becoming a general officer, was tapped to lead Vermilion Parish Civil Defense Office operations after Hurricane Audrey in 1957, and was named commander of the Guard forces mobilized to protect civil rights marchers in Bogalusa in 1969. It is sometimes difficult to get one general to focus on another general's accomplishments, but retired Brig. Gen. Curney Dronet of Erath couldn't say enough about LeBlanc's record of service. "He was always a tremendous leader in every position he held, with one of his special qualities being that he was a superb judge of people and knew how to surround himself with excellence. As a matter of fact, he recruited me to join the Guard in 1949," Dronet said with a sly grin. "General LeBlanc was my superior throughout my career in the Guard and is richly deserving of any and all honors he receives for his service to the state and community," said Dronet, who became 256th Infantry Brigade commander in 1972 when LeBlanc was promoted to state Guard commander and emergency operations chief. LeBlanc also took over the Civil Defense Office in Abbeville and still serves as director of the Vermilion Parish Office of Emergency Preparedness. Gabe Mathiew, director of the parish 911 office and LeBlanc's deputy at the OEP, said the parish is fortunate "to have someone of General LeBlanc's caliber, experience and expertise still giving of himself at a time in his life when he could be enjoying a well-deserved retirement." LeBlanc said he has been fortunate over the years and considers it as much a pleasure as a duty to continue to serve the parish and act as a consultant to emergency planners statewide. "Everyone should do what they can for their country and community, and I've done what I could with the help of a lot of good people who work behind the scenes and whose contributions aren't always recognized," he said. As December rolls around again, LeBlanc is preparing to celebrate yet another milestone - 56 years of marriage to the former Helen Della LaPlace. They have three children, six grandchildren and four great-grandchildren.